John Vance Stevens Jr. (Steve) was born in Matador, Texas on September 22nd, 1956 to Johnny and Helen Stevens. Steve was a devout Christian, Father, Grandfather, and Rancher. The youngest of five children, Steve enjoyed giving his 4 older sisters as much grief as possible and he was very good at it. Steve married Bettye Hamilton in 1982 and together they raised their two children Ashley Stevens (Miller) and John Wesley Stevens. Steve owned an operated Stevens and Stevens Ranch with his father, Johnny while also day-working and running camps for numerous ranches in the surrounding area. His unwavering faith in Jesus Christ and commitment to his family were the cornerstones of his life. Steve was known for his humor, work ethic, toughness, and loyalty to friends and family. Preceding him in death were his two parents, Johnny and Helen Stevens, and his sister Sandra Francis. He is survived by his sisters Sue Patterson, Shelley Cox, Shane Jones and their respective families; Daughter and family Ashley, Chris, and Grayson Miller; Son and family John Wesley, Cyndee, and John Austin Stevens as well as numerous nieces, nephews, and other relatives. Services and Celebration of Life will be held on Sunday, January 27th at 2:30 pm at First Baptist Church in Matador with graveside service at East Mound Cemetery. 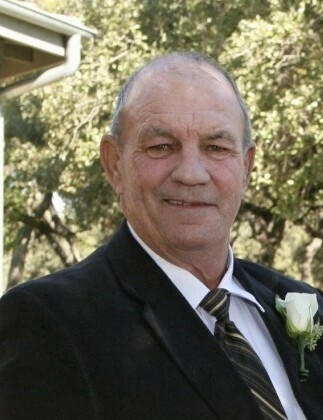 Visitation is at the Zapata Funeral Home in Matador on Saturday, January 26th from 6-8 pm.